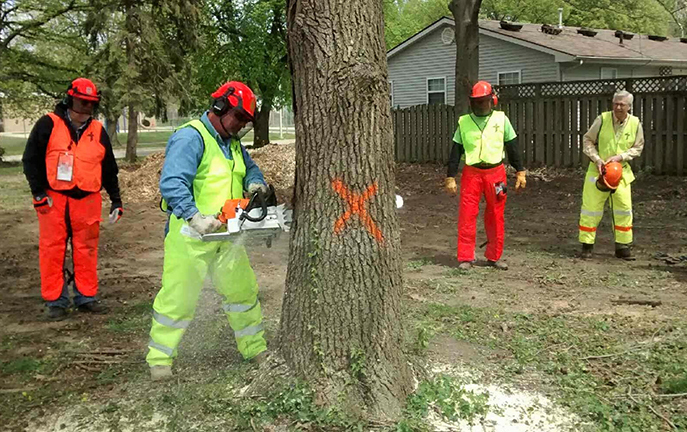 Our neighbors to the north have experienced extensive damage as a result of flooding caused by the “bomb cyclone” that settled on a large area of the upper Midwest earlier this month. The Kansas District Disaster Response and LERT teams stand ready to respond after assessments are completed and a needs list has been issued. For up-to-date information, please visit the LCMS Disaster Response webpage. The LCMS page and the Nebraska District website include links to contribute financially. Please keep these brothers and sisters in Christ in your daily prayers, and if you want to put your hands to work, consider participating in the Flood Bucket Challenge. 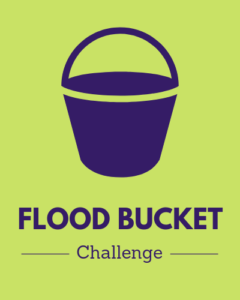 From now until the week of April 14, we challenge Kansas congregations to create flood buckets to be distributed to areas affected by flooding. Here’s how it works: Each congregation, district, or group fills empty 5-gallon buckets with items from a suggested list provided by LCMS Disaster Response (see link below; the list also includes instructions for completing the buckets). The items are purchased locally and/or donated by the members of the congregation or group. Contact Kansas District DDRC Donna Williams (ksddrc@gmail.com) or Aaron Nielsen (disaster@lcms.org) in the LCMS Disaster Response office for decals to affix to the completed buckets. Thrivent Action Dollars are an excellent way to help fund your effort; to expedite your application, use promo code MWFLOODING 2019. Once you have your buckets assembled, contact DDRC Donna Williams. Try to store flood buckets at your location until transportation can be arranged. Alternatively, you may take buckets to the District Office in Topeka. Interested in helping out when disaster strikes? If so, think about attending a Lutheran Early Response Team (LERT) training session. For questions about any of these events, contact Kansas District Disaster Response Coordinator Donna Williams at ksddrc@gmail.com. Registration forms and more details are posted as they become available. Date: Saturday, April 6, 2019, 9:00 a.m.–3:00 p.m. Questions? Contact Kansas District DDRC Donna Williams at 316-641-0332 or ksddrc@kslcms.org. 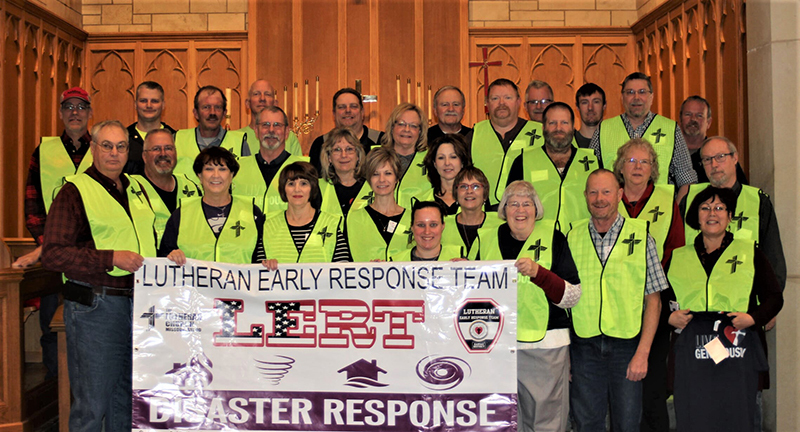 Saturday, May 4, 2019 (one day only); 8 a.m.–4 p.m.
LCMS Disaster Response is building a database of all volunteer members of Lutheran Early Response (LERT). Application information is exchanged between the LCMS and representatives from the LCMS districts in which your volunteer service takes place, as well as your home district. This exchange ensures that the LCMS districts in which you would serve and your home district have the information they need to effectively manage the volunteer project and ensure proper safety measures. All LERT team leaders are asked to relay this information to team members. To opt out of the exchange, members are asked to send team leaders a note to that effect. Otherwise it will be assumed that all certified LERT team members will be added to the exchange. Team leaders are asked to share the link to the LERT Training Attendance Form with team members so that they can complete their form online. USE TRAINING CODE 9999. The goal of the Kansas District Ministry with Comfort Dogs is to bring the mercy and compassion of Jesus Christ to those in need. A comfort dog team can open the ears of those in distress to hear the Gospel. Following a disaster within the LCMS Kansas District, comfort dogs and their handlers may be deployed at the request of the District Disaster Response Coordinator. 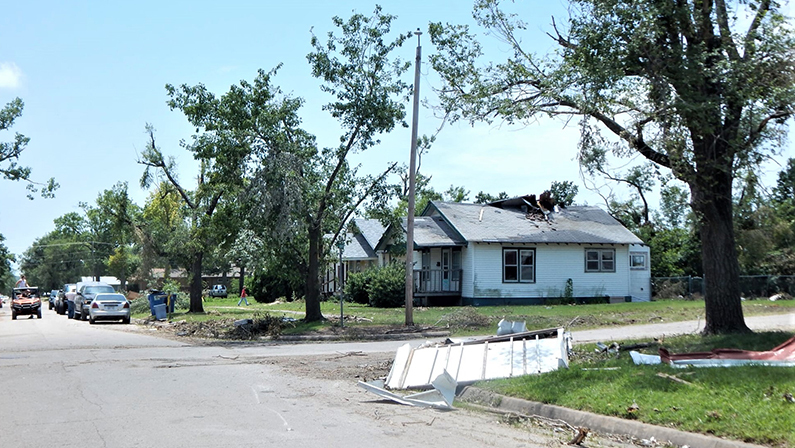 LCMS Kansas District disaster response funds will assist with travel expenses incurred by the handler(s) when deployed in these situations. Other requests for comfort dogs might arise in response to a critical incident within a congregation. A critical incident is any incident or sequence of events which overwhelms or significantly strains the normal coping mechanisms of the congregation or school. We only respond if invited and work with local churches to meet specific ministry needs for their congregation and community. The local congregation is responsible for travel expenses incurred by the handler(s) in response to all other critical incidents outside of disaster response. These visits may be initiated directly with Carolyn Buono at buonocw@cox.net. For more details, see our Request for the Services of Comfort Dogs information sheet.